But don't take our word for it, check out Our Reviews or Watch Videos from our weddings. Our Essentials Package is a good fit for smaller affairs when less frills are desired. A perfect fit for your intimate celebration. For 60 guests or less. The Mirror Booth takes photo booth fun to a whole new level. As guests walk up to the mirror, colorful animations and a voice guidance invite them to engage in a magical, interactive “selfie” experience presenting a photo keepsake. Must be booked with a DJ package. Give your event guests a reason to let loose and get candid in one of our exciting photo booths. Photos print instantly and are delivered right to your guests providing a memorable keepsake. Custom designs are provided for each and every event. Our photo booth attendant will help guests pick props, deliver photo strip prints, and keep the photo booth area clean and organized. Not only will everyone receive prints, but you can also download all of the pictures from your event directly from our website. Add one of our photo booths to your event today! Must be booked with a DJ package. Atmosphere is everything. Our Wireless Uplighting can truly transform any space! Must be booked with a DJ package. Take your monogram light to the next level with full illustration. We can use your existing monogram design or help design one from scratch! Must be booked with a DJ package. 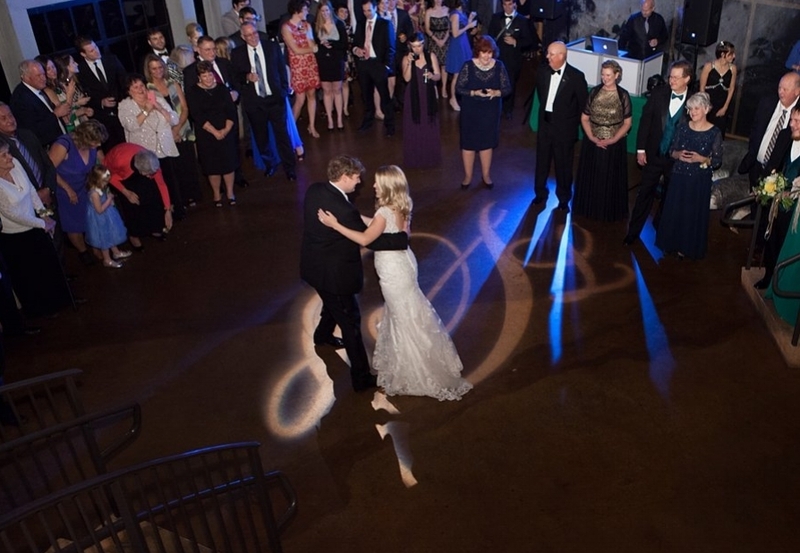 Give your wedding venue a custom, elegant touch by putting your names in lights. We can use your existing monogram design or help design one from scratch! Must be booked with a DJ package. Need music for your wedding ceremony too? Look no further! We can take care of that too. Must be booked with a DJ package. Let's share that special slideshow with all of your guests! We have everything you need to make it a reality. Must be booked with a DJ package.